Are you looking for a professional Project Planning On Milestones in Excel? 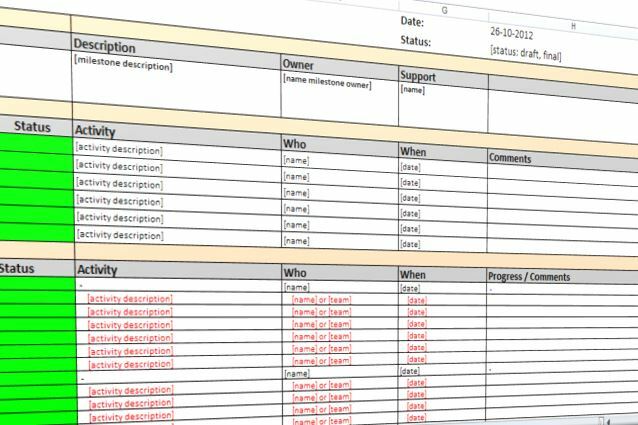 Download this Project Planning On Milestones Excel Template directly! We provide a professional Excel Template to help you define your Project Management Planning, including the overview of Project Key dates and Workplan for Milestones. By using this Project Planning Template, you will be able to structure your Project management Planning, by putting the milestones in place. It also helps you to maximize the realization of opportunities. This Excel template is successfully in use by many project officers and project professionals. Download this Project Planning On Milestone's template and after downloading you can change and customize every detail and appearance and finish in minutes.